You’re good at what you do, take pride in it, work hard at it – and, as a result, are well on your way to building financial independence for yourself and your family. You want to find someone here to help you wisely manage and preserve all you’ve earned. We live and work in Houma. Being here and knowing you counts for a lot. 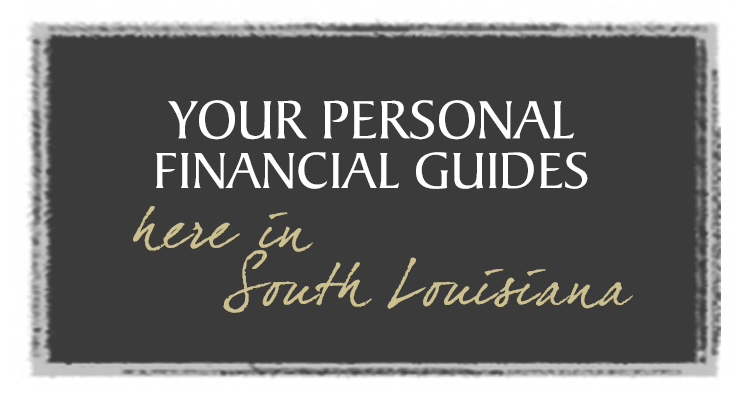 We can deliver the personal and well-grounded financial guidance you seek – so you can enjoy life here in South Louisiana and all it has to offer. Many folks we know still make their livings like their ancestors did, as shrimpers, oystermen, crabbers, fishermen and trappers. It’s something we appreciate every time we sit down to a big bowl of gumbo.